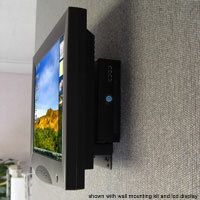 Our mini PC has quiet operation, lower energy costs, and much better life expectancy than regular air cooling systems. It includes a passive heat sink and metal fins case which dissipates the heat from processor preventing it from overheating. With Multiple Gigabit Ethernet technology transferring large amount of data across a network, providing higher performance and bottleneck reduction. Ideal for Servers, QoS, Routers, Firewall, Gateways. 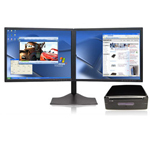 Multiple COM Ports Min PC solution is ideal for use with custom design embedded device. it provides a complete range of solutions for retail, data acquisition, industrial automation, kiosk. 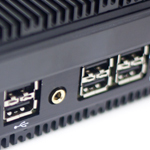 Multiple USB Ports solution is ideal for use with custom design embedded device. Our small Mini PC Computer With multiple USB Ports, Engineer can control multiple custom device on one computer. Multiple Display Small Computer (Mini PC) solution is ideal for expanding your workspace and productivity. 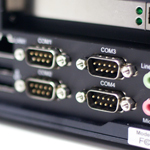 Our systems can be setup via VGA, DVI, HDMI, and Display port. Reliable , versatile, low power consumption can reduce operational expenses. 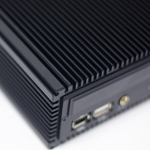 Thin client Small Mini Computer is the most popular solution for businesses that requires enhanced security, streamlined manageability, lower total cost, client virtualization solutions. 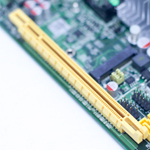 For clients that need small computer (Mini PC) with PCI slot, our products support full length PCI cards, such as modem, network, sound, video etc. For clients that need a small computer (Mini PC) with PCIe 1X or PCIe 16X slot, our products support full length PCI express cards, such as modem, network, sound, video etc. 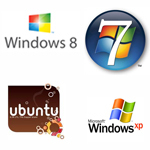 We certainly know that some project requires specific operating system. Please select it from here. 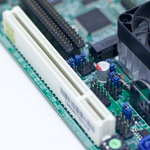 Select a processor that can meet your requirements! 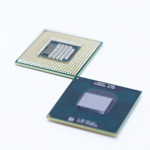 Intel Atom C2750 8-Core Processor. Fully functional and upgradeable mini pc system for your vehicle. Allows you to mount our SlimPRO series PC to wall or under your working desk. Can be configured for wide variety of applications. 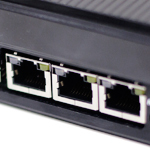 Including routers, gateways, firewalls and Network bridges.